My new Happy Place and favourite tree! Hello Friends. Happy September! I hope you all had a terrific summer. I am finally getting some much needed time in the studio to catch up on a few projects. The weather this summer has been sunny, hot and dry. Some may say to hot, but give it a bit and we can start to complain about the cold and snow. Summer has some of us enjoying the camp/cottage and we were no exception. 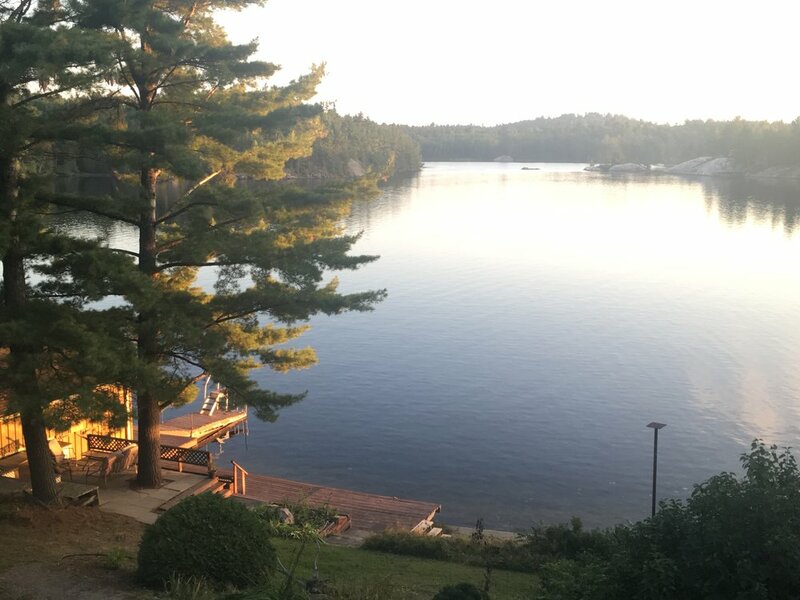 Our big news this year is we sold our rustic camp and bought a cottage/retirement house on the French River. Hubby will keep working for a few years yet but opportunity knocked and well down time is now spent with running water and electricity. You know what that means. That’s right, I have a studio in the lower level with a beautiful view. 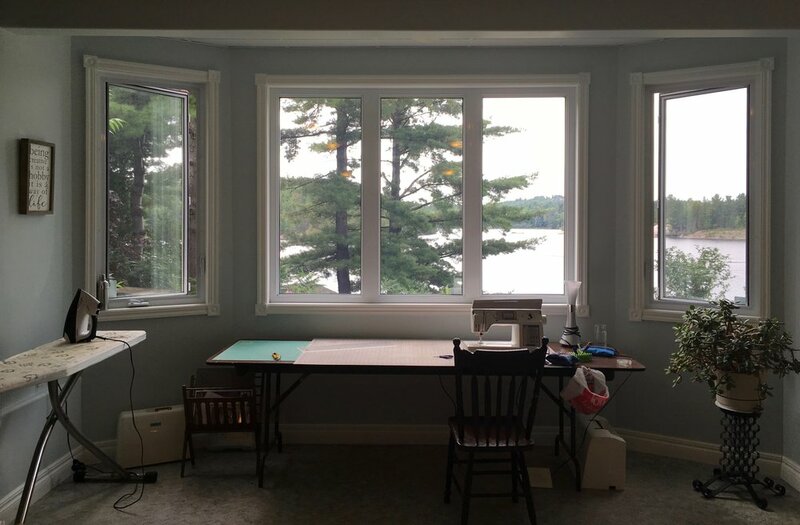 The sewing machine is already set up there and I am looking forward to those rainy cold November days when I can piece away while Hubby watches sports on TV. The new “River House” comes with an added bonus, a 3 bedroom apartment style loft above the garage. A perfect retreat space! Hmmm Stay tuned for more exciting news as it develops. Send me a comment if this is something you and your quilty friends would be interested in. Our little family keeps on growing, and like my mother used to say, “The girls will bring the boys home!” Our youngest (who lives in the UK) is getting married in a few weeks. That has this family scrambling about with last minute details and wedding prep. I will be gone for 2 weeks in and about the middle of October. Which means that when I get back it will be pretty close to workshop time. If your thinking about joining me for the workshop, give me a shout and I can register you in a jiffy. “Quarry” is fast, fun and there are three project sizes to choose from. So call your girlfriend and lets get together in November. Click here for more information. Now that summer is winding down, my brain goes into quilting mode. What’s happening in the studio these days you ask! Well, I am trying to get through a Jelly Roll Rug. Man, there’s a lot of sewing involved to make one of these. 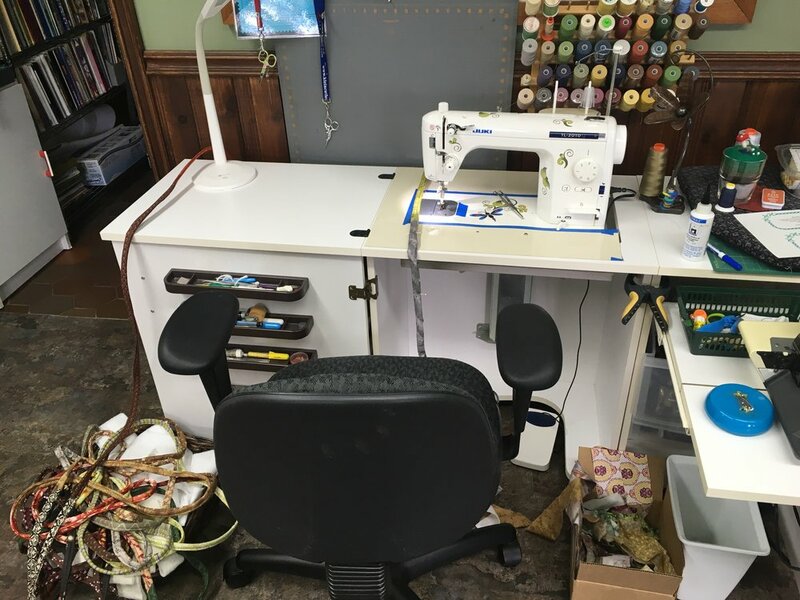 One of my regular students, Anne, started hers and I am so glad, because now it’s like a contest and I have to have mine done first to tell her what to do next. I really hope she has to pickle or can something this week. LOL If all goes well I would like to offer it as a class so stay tuned. 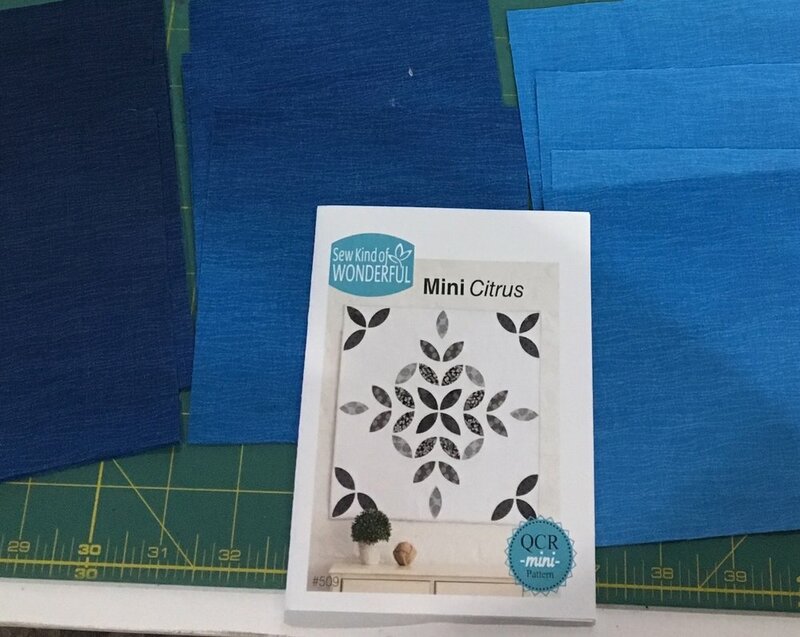 I am very interested in the “Sew Kind of Wonderful®” curve piecing tool and techniques. You all know how much I love making units bigger and squaring them up, well Sew Kind of Wonderful does just that. It is a tool that does a curved piecing/ drunkard path kind of unit. Her patterns are unique and I am anxious to get my first sample done so that I can teach it to all of you. I will have to miss “Quilts on the Rocks” this year (I will be at the wedding) but if you are in Sudbury, take some time to see all the beautiful quilts. Yes, I will have one hanging in the show with the pattern to come in a few months. There are venders, a boutique to purchase hand made goodies and a silent auction section. I had one of my quilters finish her Tuffet this week. Well done Suzanne! Thanks for dropping by. Until next time, stay safe, clean your sewing machine and find a new quilt project, it’s that time of year.